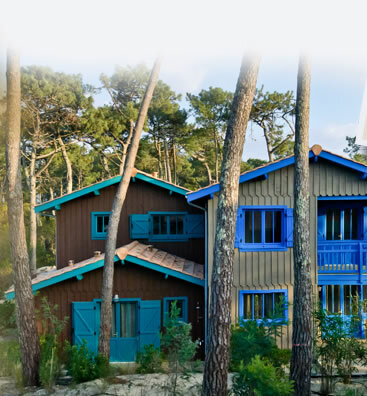 With either family or friends, book your holiday accommodation at Cap Ferret. 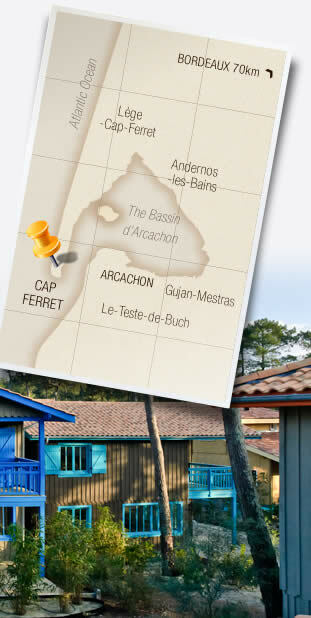 Three of the chalets are suitable for people of reduced mobility. The Dune du Pilat, the Banc d’Arguin, the Ile aux Oiseaux, the Cabanes Tchanquées, the mere mention of these famous sites fires the imagination. From the peninsula you can embark on excursions to discover these treasures. The peninsula provides an unspoilt haven, naturally providing a setting for Conservation Authority sites. Take a pause, look and listen and enjoy the magic of these splendidly preserved landscapes. vue panoramique exceptionnelle sur le Bassin d’Arcachon, la dune du Pilat, l’île aux Oiseaux.